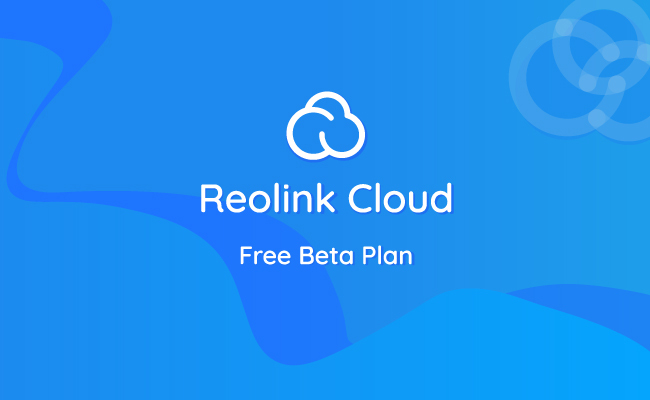 Forum › Announcements and News › Product Release › Reolink Cloud Is Here! Try It Out for FREE Now. This topic contains 5 replies, has 6 voices, and was last updated by … 4 months, 3 weeks ago. Reolink Cloud is now available for a smarter home! With the Reolink Cloud, you can store, access, and share your HD motion detection videos anytime, from anywhere. No worries about missing a thing, even if your device is stolen or Micro SD card is broken. Currently, Reolink Cloud works with Reolink Go, Reolink Argus 2 and Reolink Argus Pro in US only – More countries and products to be supported. Please keep tuned. More excitedly, we launched the Cloud Beta Plan (ends on August 31, 2018, PDT), offering 10GB free cloud storage for 15 days recording. Sign up now to be one of our hero testers! Any suggestions for the Reolink Cloud? Comment below and we’d like to hear from you! Please add “Italy” from your next list of countries supported for the cloud service. Thank you very much for your valuable suggestion! Now our cloud service is only available in US. We might support it in Italy in the future. Please subscribe to us for the updates. Thank you very much for your understanding! Any idea when or if the Keen will work in the Cloud? Is the 15 day free option going to be available after beta ends or is a paid plan required? Thought I was ordering an Argus, is the Keen an older model? I love the Reolink Cloud service! It works perfectly with the Argus2. I can pull the feed from my phone or a PC and the quality is excellent. My only complaint is that the recordings are only 15 seconds long with no follow-up recordings for continued motion detection. I could live with the 15 second clips if multiple subsequent clips were recorded for continued motion detection. But I’d also like to see the option to record for 30 seconds and 1 minute per motion event. I have local recording set to 30 second clips. It seems to me that the cloud storage should at least receive a full copy of what’s being recorded locally. I appreciate the cloud service, but have noticed that it is not always in sync with the videos recorded on my SD card. The cloud often is missing files found on the SD card and, once in a while, has a recording that isn’t on the SD card. It’s odd.